Like many others, I am determined to vote intelligently in the Referendum on Electoral Reform. I have carefully read the nonpartisan information from Elections BC. It is not true that there will be no local MLA’s. 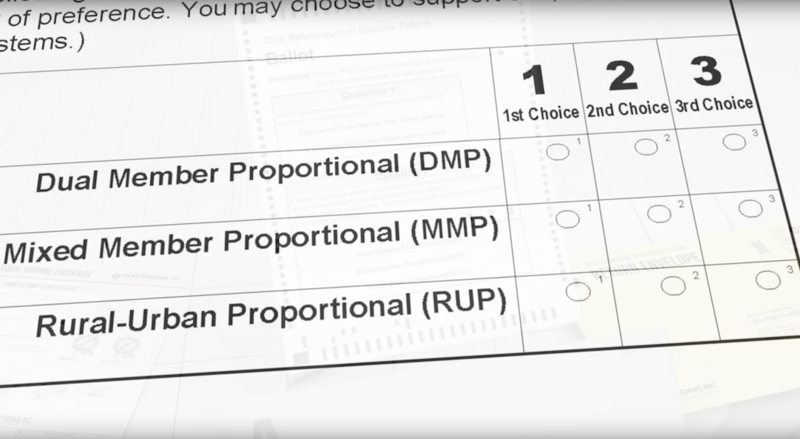 The three proportional representation choices guarantee at least one local MLA and usually multiple MLAs who will represent each electoral district or region. It is also not true that Vancouver MLAs will set the agenda for all of BC – that is an unsupported blanket statement. I, for one, am excited to have an opportunity to change our electoral system so that I may elect and be represented by more than one MLA in my electoral district. Gee, maybe I’ll even be represented by an MLA that I have voted for – now there’s a novel thought . I encourage all your readers to do their homework before filling out the ballot on Electoral Reform. Every household in B.C. was mailed a Referendum Voter’s Guide in October. The Guide covers how to vote in the referendum and information about all four voting systems on the referendum ballot. Visit the nonpartisan elections.bc.ca website for more information and videos, as well as translations of the Voter’s Guide in 14 languages. All voters have an opportunity to become informed and to make intelligent choices on the referendum ballot . I’m pleased to see that in this column, have been expressed arguments for each side of this issue. Would you buy a used car from Mr.Wilkinson?Not this cowboy.